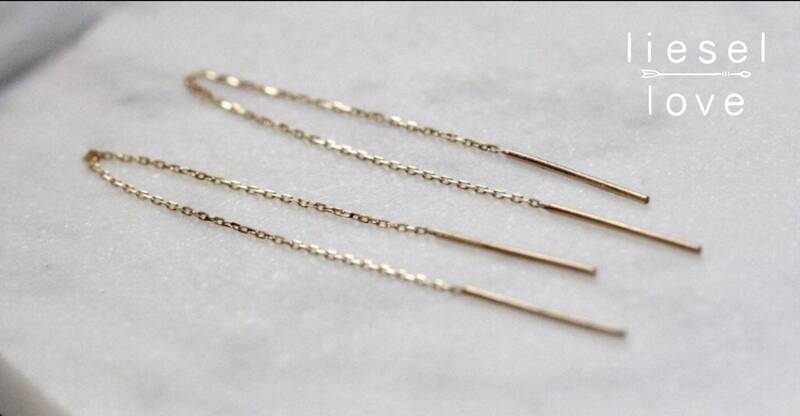 Our 14K Double Needle Threader Earrings are as versatile as you are! 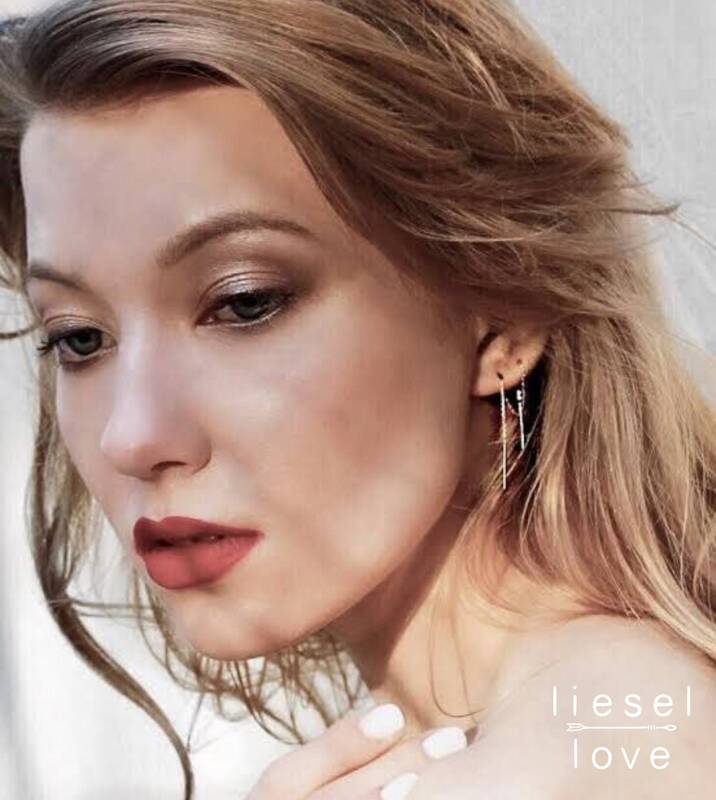 Loop them through multiple holes, thread them through a single piercing and wear as long shoulder dusters...whatever strikes your fancy! 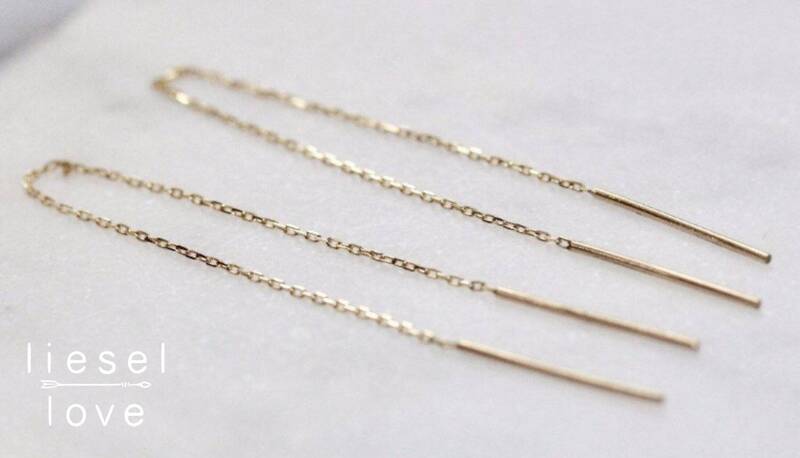 The dainty chain has a bit of sparkle and each end has a 1cm needle with a beautiful matte finish. I will happily repair any fine jewelry free of charge up to 18 months after purchase. Just as described, subtle and delicate! Thanks! PLEASE forgive this long lost review. 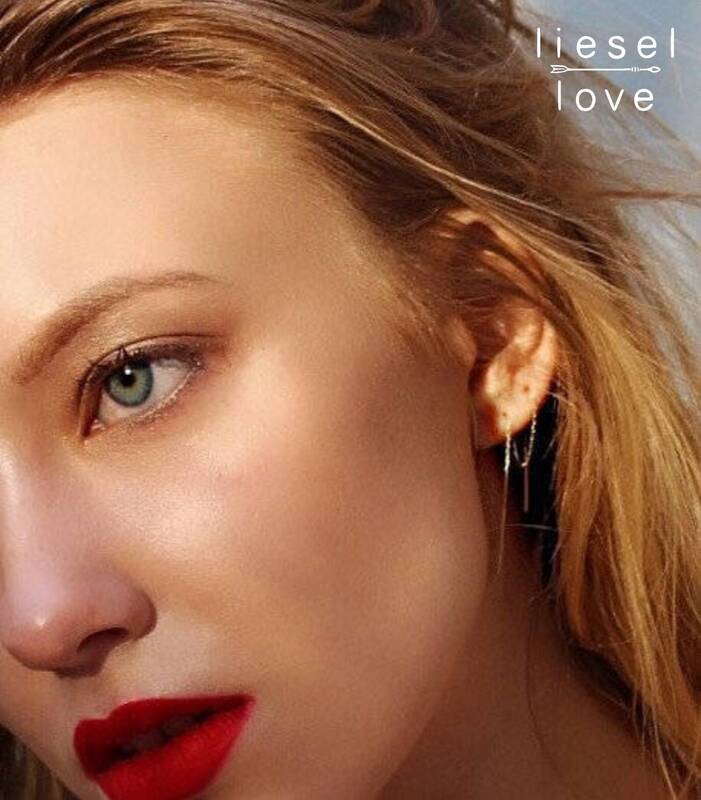 That is what happens when your health goes bad, which mine did; so I'm finally getting back to you because you need to know how well received your earrings were. Amazingly, they were far and above my friends favorite gift. She wears them everyday,never taking them out to even clean them and she gets lots of compliments on them as well. Job well done!!! Great design and attention to quality and detail. Very lightweight and comfortable to wear.